Kids definitely know how to enjoy a snack in many different ways, especially when it is a kind of snack that has many layers to it—just like Koala’s March. With its crunchy biscuit’s outer shell filled with rich flavorful filling that is sure to burst in your mouth, kids will definitely enjoy Koala’s March in almost any manner they want and in tandem with a lot of fun and flavorful goodies to pair it with. Here are just some of the fun-filled combinations one can enjoy with Koala’s March. 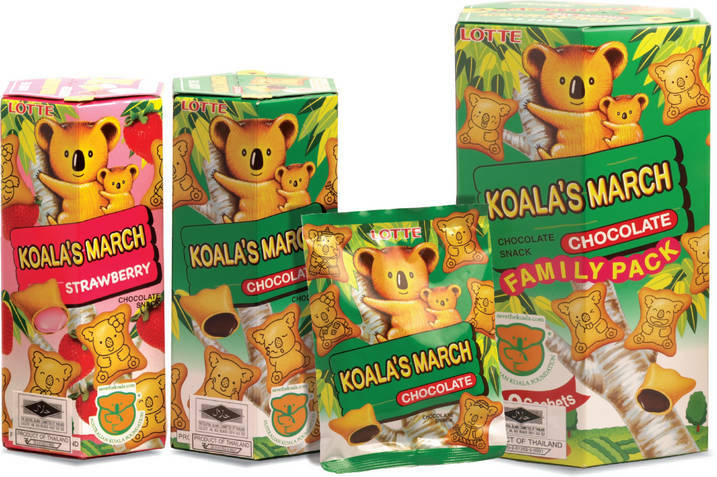 You’ll be surprised to discover that Koala’s March goes well with most of their favorite goodies! Warm drinks. Rich and creamy hot chocolate or warm milk adds an extra dose of wholesome goodness to Koala’s March. Just a small sip, followed by a piece of Koala’s March biscuit creates a sweet, slush-like mixture in your mouth. If you’re a dunker, you can always dip it in and then drop straight into your mouth for that satisfying dose of milk-chocolatey goodness. Ice Cream. One of the best combos for Koala’s March is to eat it with ice cream or frozen yoghurt. The thick and creamy texture of ice cream and yoghurt complements well with the biscuit’s crunchiness, as one could expect a one-of-a-kind burst of delight when the flavored filling from the biscuit mixes with the creaminess of the ice cream or yoghurt. Chocolate syrup, Caramel or even Condensed milk. Nothing satisfies a sweet tooth than dipping Koala’s March into these delectable delights. It’s sure to be a treat for kids but of course like in all things, keep it in moderation. Remember to always brush your teeth to prevent cavities and other dental problems. Small Berries and other sweer fruits. It may sound unusual, but Koala’s March is surprisingly good with fruits cut into small pieces. You can even glaze it with syrup if you want. It’s really worth giving it a try. And you may also do your own experiment on mixing and matching Koala’s March with other food items. So whether it be food or drinks, these are just some of the delightful ways kids—even adults—can enjoy Koala’s March. With all the combos out there, you are sure to enjoy this tasty treat any time of the day, any time of the year. Just go ahead and be creative with your taste buds because with Koala’s March biscuits, you can never go wrong.